Indian director and screenwriter famous for his Telugu films, including blockbusters like 2009's Magadheera, 2012's Eega and 2015's Baahubali: The Beginning. His work has earned him prestigious accolades like the Padma Shri, Nandi Award and National Film Award. He got his start in the entertainment industry directing soap operas on Eenadu Television. His first Telugu film, 2001's Student No.1, was a hit. His historical epic Baahubali: The Beginning became the highest grossing Telugu film of all time. It was also the first South Indian film to earn more than $89 million worldwide. 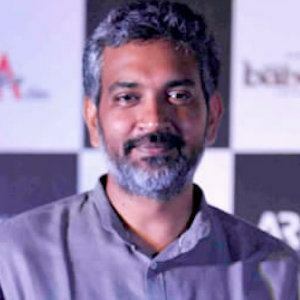 He married costume designer Rama Rajamouli and has children named S.S.Karthikeya and S.S.Mayookha. His father is director and screenwriter K.V. Vijayendra Prasad. He directed Ram Charan in 2009's Magadheera.